The subgrantees will work with women in indigenous communities – empowering them to take steps to prevent and control cervical cancer through training, education, screening and referral. The HCC is grateful to the Australian government for their ongoing support which has facilitated the education and screening of over 7,500 poor and indigenous women. The Belize Cancer Society is honored to be the recipient of funds from the Healthy Caribbean Coalition and Australian Direct Aid. We extend sincere gratitude, for the opportunity to advance the ‘End Cervical Cancer Initiative’ which began in 2014. Indigenous and other vulnerable women will now have access to, counselling, screen and treat services, pap testing, syndromic management and education on cervical cancer prevention and control methods. The BCS will continue to work with local partners to optimize the benefit of this grant. The Dominica Cancer Society is grateful for the opportunity provided by the Healthy Caribbean Coalition to strengthen its cervical cancer program through funding from the Australian Direct Aid Program. This grant allows the Society to strengthen its community outreach program through building cervical cancer awareness, strengthening community advocacy and facilitating access to cervical cancer screening and treatment for Kalinago women. Funding received in 2014 under this C4PI enabled us to have a tremendous impact on cervical cancer education and access to care across Dominica. Over 50 volunteers were trained in cervical cancer psychosocial support training and 32 uninsured women were provided with access cervical cancer treatment. We anticipate a successful collaboration. 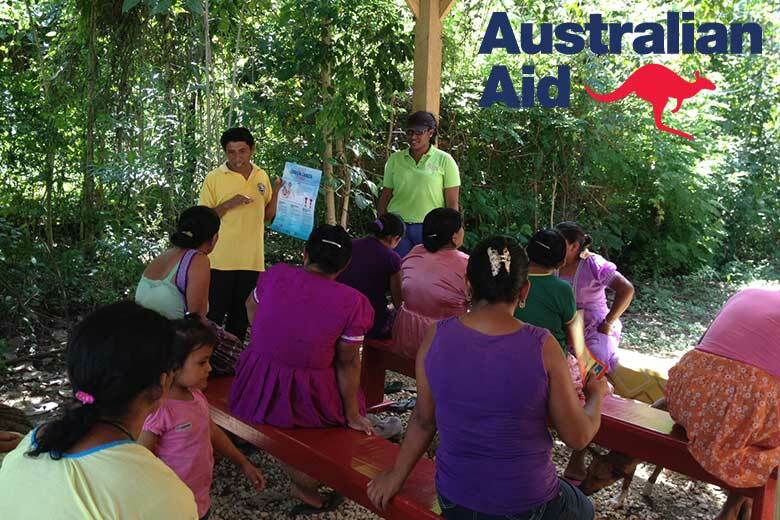 Australian Direct Aid Program (DAP) and the HCC has been a blessing for the women in Guyana, especially the Indigenous women population. It is helping Cancer Institute of Guyana to screen these women for Cervical cancer by Pap Smear, detect early and save lives. Since 2014 these campaigns have also enriched the professional and non professional staff in their experience and knowledge of conducting screenings in the most remote places in Guyana.